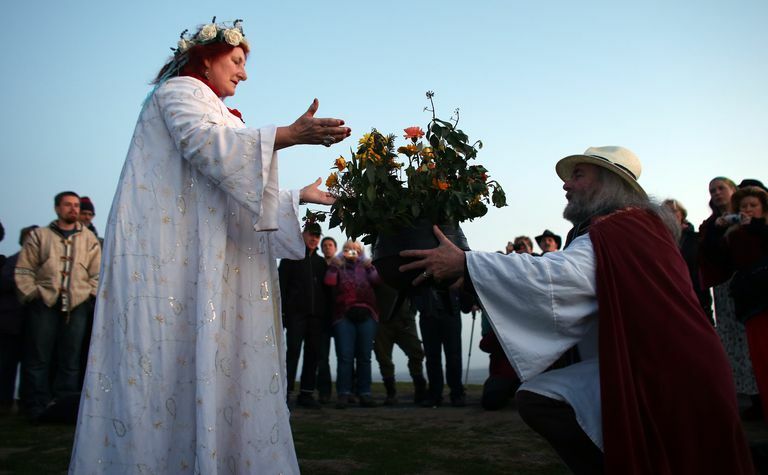 We get many emails from people who want to know what they have to do to become Pagan clergy. In most Pagan religions, the priesthood is accessible to anyone who’s willing to put the time and energy into it - but the requirements tend to vary, depending on both your tradition and the legal requirements of the place where you live. Please keep in mind that all of the information below is general, and if you have a question about the requirements of a specific tradition, you'll need to ask the people who are part of it. In general, either women or men may become priests/priestesses/clergy in modern Pagan religions. Anyone who wishes to learn and study, and commit to a life of service can advance into a ministerial position. In some groups, these individuals are referred to as High Priest or High Priestess, Arch Priest or Priestess, or even Lord and Lady. Some traditions opt to use the term Reverend. The title will vary depending on the tenets of your tradition, but for the purpose of this article, we’ll simply use the designation of High Priest/ess or HPs. Typically, the title of High Priestess is one that's given to you by someone else -- specifically, someone who's got more knowledge and experience than you. While that doesn't mean that a solitary can't learn enough to be a HPs, what it does sometimes mean is that you'll find advantages in learning from a mentor at some point. A HPs has to know more than just how to cast a circle or what the different Sabbats are for. Being a HPs (or HP) is a leadership role, and that means you'll find yourself solving disputes, performing counseling, making occasionally tough decisions, managing schedules and activities, teaching other people, etc. These are all things that tend to come a little easier with experience, so the fact that you're setting yourself a goal is a good one -- you've got something to work towards. In addition to learning more yourself about your path, you also will need to learn how to teach others - and that's not always as easy as it sounds. In general, most Pagan traditions use a Degree system to train clergy. During this time, the initiate studies and typically follows a lesson plan designated by the coven's High Priestess or High Priest. Such a lesson plan might include books to read, written assignments to turn in, public activities, demonstration of skills or knowledge obtained, etc. Once they have moved beyond this phase, the initiate is often tasked with assisting the HPs, leading rituals, teaching classes, etc. Sometimes they may even act as mentors to new initiates. By the time someone has gained the knowledge necessary to reach the upper levels of their tradition’s Degree system, they should be comfortable in a leadership role. Although this doesn’t necessarily mean they have to go off and run their own coven, it does mean they should be able to fill in for the HPs when needed, lead classes unsupervised, answer questions that new initiates might have, and so on. In some traditions, only a Third Degree member can know the True Names of the gods or of the High Priestess and High Priest. A Third Degree may, if they choose, hive off and form their own coven if their tradition allows it. It is very important to note that simply because you are ordained as clergy by your tradition does not necessarily mean you are legally permitted to perform clergy-type activities by your state. In many states, you must get a licensed or permit in order to solemnize marriages, officiate at funerals, or provide pastoral care in hospitals. Check with your state or county to determine what requirements are in place - for instance, in the state of Ohio, clergy must be licensed by the Secretary of State’s office before they can perform weddings. Arkansas requires ministers to have a certification on file with their county clerk. In Maryland, any adult can sign as clergy, as long as the couple getting married agree that the officiant is clergy. What Is the Degree System in Paganism and Wicca?